Help serve bagged lunches, on May 12, 2019, starting at Noon to 1:30 pm. Come join us, and help prepare and/or transport and/or serve bagged lunches to those in distressed circumstances in our city. 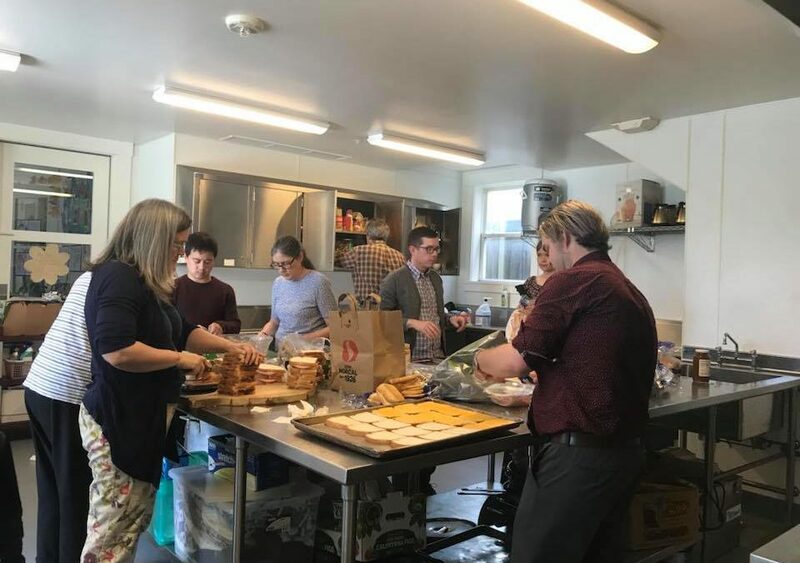 We provide bag lunches to those attending the San Francisco Night Ministry’s open worship service (“Open Cathedral”) in the Civic Center area on Sunday afternoon around 2:00 pm. Future dates for assembling bag lunches will also be on July 14th, September 8th, and November 10th — if you’d like to plan ahead!